Mathematical Reviews (MR) and zbMATH cooperate in maintaining the Mathematics Subject Classification (MSC), which is used by these reviewing services, publishers, and others to categorize items in the mathematical sciences literature. The current version, MSC2010, consists of 63 areas classified with two digits refined into over 5000 three- and five-digit classifications. Details of MSC2010 can be found at www.msc2010.org or www.ams.org/msc/msc2010.html and zbmath.org/classification/. MSC2010 was a revision of the 2000 subject classification scheme developed through the collaborative efforts of the editors of zbMATH and MR with considerable input from the community. zbMATH and MR have initiated the process of revising MSC2010 with an expectation that the revision will be used beginning in 2020. From the perspective of MR and zbMATH, the five-digit classification scheme MSC is an extremely important device that allows editors and reviewers to process the literature. Users of the publications of zbMATH and MR employ the MSC to search the literature by subject area. In the decade since the last revision, keyword searching has become increasingly prevalent, with remarkable improvements in searchable databases. Yet, the classification scheme remains important. Many publishers use the subject classes at either the time of submission of an article, as an aid to the editors, or at the time of publication, as an aid to readers. The arXiv uses author-supplied MSC codes to classify submissions, and as an option in creating alerts for the daily listings. Browsing the MR or zbMATH database using a two- or three-digit classification search is an effective method of keeping up with research in specific areas. Based in part on some thoughtful suggestions from members of the community, the editors of MR and zbMATH have given preliminary consideration to the scope of the revision of the MSC. We do not foresee any changes at the two-digit level; however, it is anticipated that there will be refinement of the three- and five-digit levels. At this point, zbMATH and MR welcome additional community input into the process. Comments should be submitted through the Web at msc2020.org. You may also send email to feedback@msc2020.org. All information about the MSC revision is jointly shared by MR and zbMATH. This input will be of great value as the process moves forward. 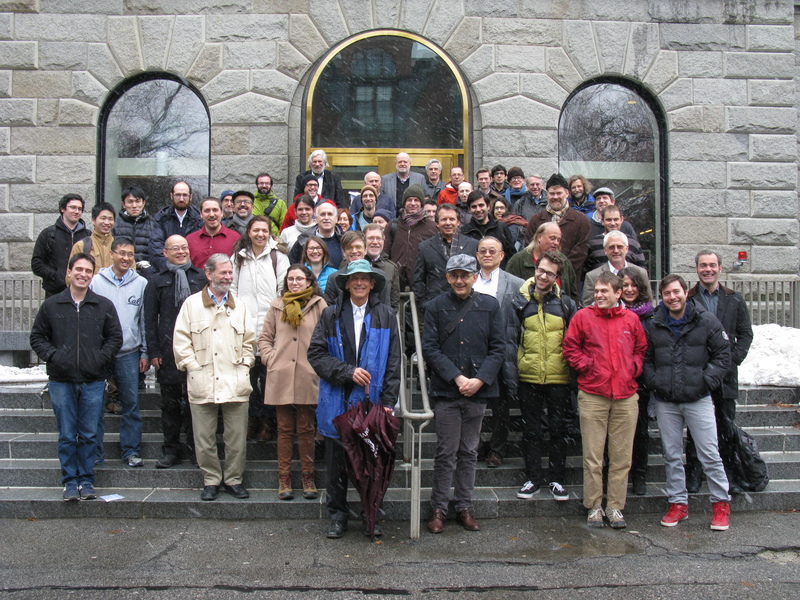 Help us identify all mathematicians in this picture (click on it for a larger version). Please post comments here, on G+, or email me or Paul Larson. You are currently browsing the A kind of library blog archives for July, 2016.